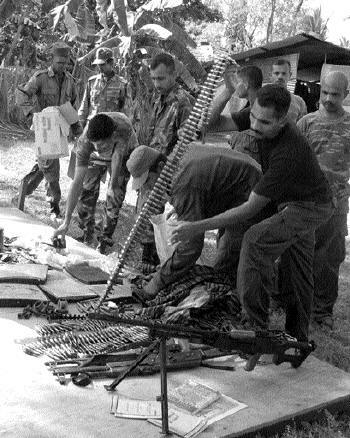 weapons haul: A section of the large haul of weapons recovered by the combined Army, STF search operation in Eravur. Indian Defence Minister A.K. Antony, attending a ceremony marking the anniversary of the coastguard air unit at Daman in western India, said India needed to boost its coastal defences to combat terrorism.